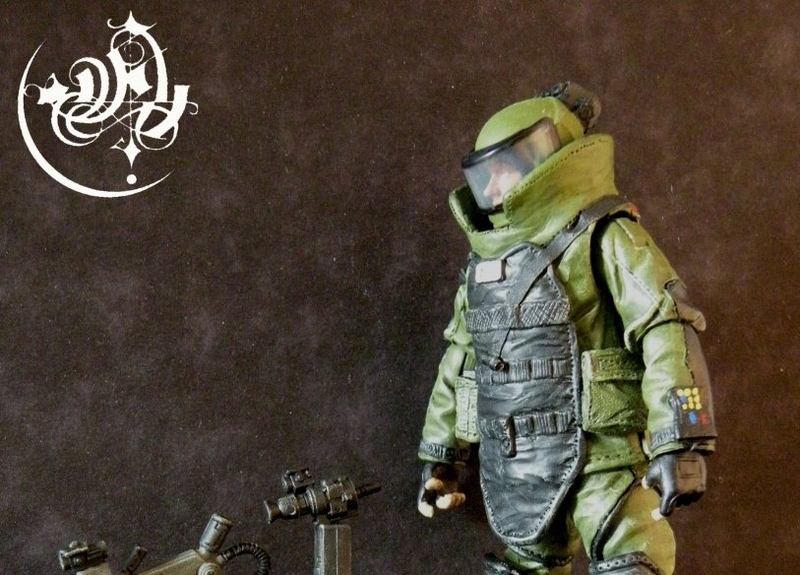 Tripwire EOD by Wry1 | The Fighting 1:18th! A lot of time and creativity goes into forum member Wry1’s customs and artwork, and Tripwire is no exception. What Wry1 has created and shared with us at the Fighting 118th, is a very realistic, modern military themed EOD expert that meshes perfectly with the more up-to-date collections and offerings out there at retail. The parts chosen are the perfect building blocks for the sculpting over top, turning this figure from what seems a complete mish-mash, into what I consider an artful masterpiece. The colors work well and seem to be spot on with what you’d expect out of a real-world EOD, successfully giving Tripwire a modern day representation, rather than the sorry 25th anniversary homage we got. Helmet – Ace helmet turned backwards, Pit Commando face shield, various fodder, some sculpting, and glued a BBI protec helmet on the inside for a snug fit. Vest – POC Snowjob with a buncha sculpting. Torso – I forget…one of the bajillion versions of Snake Eyes I think. Arms – Uppers are POC Snowjob, lowers are ROC Destro. Both are slightly hacked and resculpted. Legs – Not sure what the uppers are, I just sculpted the thigh pads on them. The lowers are Retaliation Trooper with some sculpting. That’s just the little Joe EOD bot with some parts bashed on based on a few reference pix. 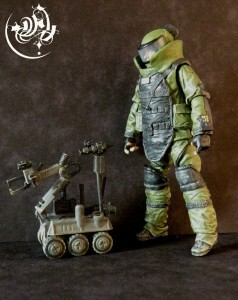 The EOD vest and helmet are both removable. We’re currently in the process of getting the vest, helmet, upper leg pads, and lower leg pads molded for casting and will be available next month. A big thanks to Wry1 for sharing his customs with us! Click here to join the discussion and see the rest of the images.